Societal impacts may be seen as those transformations that occur as a result of a given activity. Such impacts exist within a framework of societal expectations. The framework provides a model for assessing the degree to which actual events meet expectations or produce unanticipated consequences. In the context of spaceflight, people promoting visions of cosmic travel led others to anticipate that the venture would produce benefits both utilitarian (rich nations explore space) and cultural (space exploration restores values associated with open frontiers). As with other sweeping visions, such expectations were communicated through loosely constructed historical analogies and materials such as works of fiction designed for popular consumption. Actual spaceflight activities may satisfy expectations, produce unforeseen consequences, or be associated with transformations that would have occurred even in the absence of such events. This presentation will include a framework for examining the degree to which people promoting spaceflight in different countries pursue a common set of expectations, particularly with reference to the motives supporting human flight. Overview: What is a Turning Point in History, and what were they for the Space Age? In the context of spaceflight what are the “turning points?” Most would probably agree that the launch of Sputnik in 1957 represented a “turning point.” But what about the Kennedy decision to go to the Moon, the Moon landings themselves, the first flight of the Space Shuttle, the losses of Challenger and Columbia, the rise of China as a human spaceflight player? This list might be expanded indefinitely. This presentation will address what constitutes a turning point in history and examine some turning points in the history of the space age. In the Soviet Union of the 1920s, a proliferation of popular books, newspaper articles, and pamphlets on air and space flight filled the popular press, and Soviet readers became part of a cosmopolitan readership throughout Europe engaged in news on exploration of the cosmos. Indeed, as I have argued in my book Science for the Masses, this only continued a prerevolutionary fascination with the stars, heavens, and universe beyond. Astronomy and amateur space societies proliferated in Soviet Russia till the Stalinist 1930s and genuinely were generated from below, independently from the state. However, this paper will argue that two catalytic time periods changed that public response—both 1935, in Stalinâs times, and 1957, in Khrushchevâs. (Thus I hope that this paper fits into the bookâs section dealing with the societal and popular impact of these catalytic events in global space history.) In 1935, Stalin and the Central Committee sanctioned Konstantin Tsiolkovskii to give a taped speech on May Day from Red Square that was broadcast all over the former Soviet Union. Tsiolkovskiiâs speech would be used by the regime to boast the preeminence of early Soviet rocket theorists over Western thinkers. It would begin a contest with the West of technological superiority that wrenched the early popular enthusiasm for spaceflight into a politicized and nationalized context. By 1957, with the launching of Sputnik, the Khrushchev regime and its successors would continue that program, only this time directing memorial celebrations to earlier rocket theorists, launching popular campaigns from above in the press and journals, mythologizing cosmonauts and physicists alike, and urging Soviet citizens to engage in the contest with the West, while focusing on its ãnationalä resonance. The Apollo missions, the first human voyages to another world, were the most audacious and extraordinary achievements of the 20th century. Science fiction writer and futurist Arthur C. Clarke has predicted that 500 years from now Apollo may be the only event by which the 20th century is remembered. While that may turn out to be true, Apollo's impact in our own time has been mixed. To be sure, Apollo set a new standard by which to gauge human achievement. "If they can put a man on the moon, why can't they ...?" The blank could be filled in with any one of a number of daunting problems of the day, from curing cancer to solving the troubles of the inner cities. The fact that Apollo was a triumph of engineering, a discipline not suited to medical or social issues, did not diminish the popularity of the phrase. In astonishing fashion, the public accepted the reality of humans walking on the moon, and impatiently awaited the next modern miracle. In the decades since the Apollo program ended, however, the sheer difficulty of the lunar missions has either been underestimated (by those who mistakenly believe lunar flights are commonplace) or overestimated (by conspiracy theorists who don't believe the Apollo landings ever happened). It is clear that Apollo's significance as one of the most extraordinary group efforts in human history has yet to be fully felt by the culture as a whole. That said, Apollo did have a spectacular effect on certain segments of the population, fueling the ambitions of a new generation of scientists, engineers, astronauts, and even storytellers. The resurgence of Apollo-oriented movies, television epics, and books in the past decade or so, created by people who were in their teens when the first moonwalk took place, speaks to the multi-generational impact of the lunar missions. Today, as we await the return of human beings to the moon, we find that Apollo's impact is still unfolding, sometimes in surprising ways. This paper will examine the range of effects that the lunar missions have had on our culture and draw conclusions about what those effects reveal about public perceptions of spaceflight. If only for this prime impact—national pride—the Soviet and American missions of the 1960s cemented the social importance of spaceflight. In the United States, new knowledge, scientific and technical advances, and any other benefit of spaceflight paled in comparison to the prestige of the Apollo-era accomplishments. The societal impact of spaceflight during that first exploratory and competitive era is well appreciated, if not yet exhaustively analyzed. The purpose of this paper is to delve into the past 30 years of U.S. spaceflight to explore the societal impact of space exploration in the Shuttle era. Assessments of practical benefits, scientific productivity, public opinion, commercial enterprise, and other measures might detail the scope of such impact. So, too, can an examination of several key missions as catalysts for revaluing human spaceflight and space exploration. A selection of both ãhighsä and ãlowsä—successful and failed missions—can serve to illuminate public attitudes about the value of spaceflight and thus about its societal impact. The ãhighsä are missions executed successfully and worth notice as exemplars of the value of human spaceflight. That some were indeed noticed and others ignored in the public arena invites an examination of the implicit or assumed value of spaceflight. Candidates for assessment as ãhighsä include an early Shuttle test flight or operational flight, a ãfirstä mission (e.g., first U.S. woman in space), a satellite deployment/retrieval mission, a high-yield science mission, and a Hubble Space Telescope servicing mission. Such missions value and revalue human spaceflight in interesting ways. The ãlowsä are the two Shuttle tragedies. The deaths of the Challenger and Columbia astronauts focused attention on the contested value of human spaceflight and prompted quite different social expressions of its valuation. One was the publicâs emotional response as evidenced by the rituals and mementos of mourning the astronauts. From tokens left at spontaneous shrines to official memorial ceremonies and monuments, public mourning suggested and affirmed the civic values associated with human spaceflight. The more cerebral response of accident analysis, investigative reports, news reporting, and political hearings served as evidence of a more critical style of revaluing human spaceflight. These also tapped core values that shape or curb societyâs expectations about space exploration. Examination of a set of missions as punctuation marks in the Shuttle era yields insight into the societal impact and the ongoing process of assuming, contesting, and revaluing human spaceflight. It was clearly competition with the Soviet Union for the prestige resulting from dramatic space achievements that motivated President John F. Kennedy to set a lunar landing ãbefore this decade is outä as a national goal, with a subsequent, warlike mobilization of human and financial resources toward its accomplishment. Even after the United States won the race to the Moon, staying ahead of the Soviet Union appeared to be an important influence on U.S. space policy during the 1970s and 1980s. As late as 1987, Time magazine suggested that the USSR was ahead of the United States in space. But with the easing of Cold War tensions during the 1980s and the collapse of the Soviet Union in 1991, that motivator disappeared, and the United States found itself the clearly leading space power, with no visible peer competitor. This paper will examine the impacts of this apparent ãparadigm shiftä in the political underpinnings of the U.S. civil space program. Without the ability to use the relationship with a strategic competitor as a major argument for a strong space program, how was NASA able to maintain societal support for its activities? Was there a change in public and political attitudes toward and understanding of U.S. space activities in the post–Cold War environment? Or, alternatively, had Cold War competition lost is motive force much earlier, perhaps even before the Apollo 11 landing on the Moon? If so, then the end of the Cold War and the collapse of the Soviet Union would not in fact mark a watershed in the relationship between the space program and American society. The paper begins with the life story of China’s first public space hero as it has been made known and told to the Chinese themselves and to the international community. The body of the paper then focuses on an analysis of the iconography surrounding the taikonaut Yang Liwei and what it seems to tell us about the ambitions of China’s human spaceflight program within the framework of a Confucian-based society and authoritarian Chinese state. This discussion, introducing a group of tightly focused analyses, will undertake to outline a framework within which to situate the organizational and economic spillovers from spaceflight initiatives. A range of such ãgiftsä to the private sector will be profiled and located within the preliminary categories initially defined. The key background argument will be that a sizable proportion of NASAâs past undertakings can be fairly described as ãexperimental development,ä in which exploratory engineering and integrative scientific practice strove to overcome the liabilities of incomplete knowledge, project complexity, inhospitable working environments for humans and technology, continuing (if not continuous) redesign, and the resulting customized production. Although NASA profited from prior U.S. Air Force (USAF) efforts and from the National Advisory Committee for Aeronauticsâ (NACAâs) capabilities, in materials science, communications, human factors engineering, project management, and other fields, NASA projects represented metaphorically (and perhaps pragmatically) an elaborate, durable network of laboratory and field experiments, generating knowledge and technologies far beyond the fiscal and staffing capabilities of private-sector research and development (R&D) units. It may be that this broad range of ultimately useful, even propulsive, findings has been underappreciated in an era when market pulls and pushes are regarded as engines of creativity. If so, this work will suggest that a more complex process was in place and working well in the sixties, seventies, and eighties. This paper will outline the economic history of space activities from its inception to the present. Given the strong interactions between the government and private industry, this necessarily requires a ãpolitical economyä approach to the subject. In particular, the paper will provide a subdivision of space activities into economic markets and will provide time-series economic data or other economic figures, where available, for each, along with a short description of the factors at work over time in each area that influence the growth (or lack thereof) in each market. These subdivisions will include familiar sectors such as telecommunications, launch, and navigation but will also include less familiar sectors such as science, technology R&D, human flight, education, insurance, and media. The paper will highlight the tremendous influence of national and international policies and regulations on the opportunities for and constraints on private-sector institutions and will also note the important role of nonprofit institutions such as universities and government-funded research and development centers in the economic interactions in many sectors. Given that the sources of data are relatively few, the paper will, through the references provided, necessarily present a (short) historiographic snapshot of the subject. Hundreds of books and countless articles have been written since the mid-1990s about the phenomenon of globalization. A Google search on the term ãglobalizationä yielded 18.8 million hits in September 2005, a number that multiplied almost six times (to 109 million) by March 2006. Amazon.com displayed at least 120 new books on the subject that were scheduled to be released between September 2005 and mid-2006. Despite this impressive volume of literature, the author has been unable to find mainstream globalization discussions that directly address the effect of space development on globalization (and vice versa) other than cursory acknowledgments of the role of satellite communications as an enabler of globalization. Globalization has been identified as the dominant global trend that has replaced the Cold War. During much of the Cold War era, all sectors of U.S. space activity had fairly well-defined roles. If globalization is the successor to the Cold War paradigm, then space development must redefine itself appropriately. This is not a simple task, since debates rage as to where globalization is headed and whether the net effect will be good or bad. Although globalization debates primarily address economic, social, and environmental issues, the continuing influence of space development on globalization cannot be ignored or viewed in isolation from these issues. This study will highlight the role of space development in the emergence of the current era of globalization and discuss how space activities will continue to influence this evolving process. Globalization, in turn, will influence the course of space activities. The study will address the positive and negative implications of this, taking into account the risk of a backlash against space development stemming from antiglobalization efforts. International collaboration was part of NASAâs mandate. While originally focused on space science, this international mission soon expanded to include the far more delicate domain of space technology. Beginning in the 1960s, NASA began to look at ways of sharing space technology with allies that had embryonic space programs. Such sharing by the leading space nation is a form of what Joseph Nye calls ãsoft powerä: ãSoft co-optive power is just as important as hard command power. If a state . . . can support institutions that make other states wish to channel their activities in ways the dominant state prefers, it may be spared the costly exercise of coercive or hard power.ä To achieve ãchannelingä without coercion, NASA officials had to navigate perilous shoals: they were solicited by U.S. industries keen to enter new markets and encouraged by the State Department to be active in steering foreign space programs along particular paths—but they were also harried by the Department of Defense and other parts of the administration who feared that technological collaboration would undermine national security and threaten U.S. commercial interests in key sectors. This paper will explore the arguments used to promote sensitive space technology (inertial guidance, cryogenic propulsion) as an instrument of ãsoft power,ä shaping technological trajectories, but also building institutions and commercial and political alliances in Europe and in Japan. Food scientists faced two major issues as NASA worked on Project Mercury: one, how to prevent food from crumbling and floating into instrument panels or contaminating the capsuleâs atmosphere, and two, how to ensure that the food system would be contamination-free. To solve these issues, NASA worked closely with the Pillsbury Company. Pillsbury tackled the first problem by developing bite-sized snacks made with an edible coating to prevent the food from crumbling. The second matter proved to be more difficult. Eventually, the company developed the Hazard Analysis and Critical Control Point (HACCP) process to ensure food safety for the flight crews. HACCP prevents food contamination by identifying and monitoring hazards, rather than finding problems with a finished product. The concept has two steps. The first is hazard analysis, a study to identify anything that might result in food poisoning. Everything is examined: the ingredients, the manufacturing plants, the product storage, packaging, and even directions for use. The second step involves the monitoring of critical control points: anyplace in the chain of processing food, from farm to fork, where contaminants could compromise food safety. This paper will study the commercial and societal impact, both domestically and internationally, of the HACCP idea as well as lessons learned. Once used solely to ensure the safety of the astronautâs food supply, the idea spread and began to be employed by industry and government in the 1970s. When an outbreak of botulism in canned potato soup threatened food safety in 1972, the Food and Drug Administration (FDA) adopted an HACCP system for low-acid canned food. Since then, the FDA has adopted HACCP for the seafood and juice industries as well as for meat and poultry processing plants. Government agencies from the European Union and Australia have also implemented HACCP systems, based on Space Age technology. Governments have become increasingly interested in measuring the outcomes of investments in research and other public goods. Earth observation technologies, which provide information about different aspects of Earth systems and the use of resources, are excellent examples of public investments that provide direct socioeconomic benefits. The United States and many other countries now depend heavily on Earth observing satellites to support weather forecasting, natural resources management, and national security, among other national and international needs. Loss of these systems would have severe negative affects on the U.S. economy and national security. To many, their value seems obvious. Yet, we lack definitive quantitative data on the benefits from these systems. Although the benefits of certain activities, such as maintaining national security, or protecting citizens from natural hazards resist quantification, these aspects can be qualitatively described in such a way as to gain a useful understanding and appreciation of their individual and collective value. This paper summarizes the results of current research aimed at quantifying the economic benefits and understanding the non-quantifiable social benefits of Earth observation systems. It focuses on examples of the use of Earth observations data to mitigate the effects of severe storms and other natural hazards, reduce the risks of weather and climate to the energy industry, and to improve water resources management. Although the space race began with the launch of Earth-orbiting satellites (i.e., robots) by the Soviet Union and the United States, most historical attention has gone to the elite handful of transients (astronauts and cosmonauts) both nations have launched into space at the cost of hundreds of billions of dollars (rubles in the trillions). While perhaps reflecting the futurist dreams of conquest and colonization, and the continuing power of Jackson Turnerâs ãfrontier thesis,ä this is a mistake. Intelligence satellites stabilized the Cold War standoff by permitting rigorous study of our enemyâs military status, casting out the paranoid fears of the 1950s (at least until recently!). Weather satellites have saved thousands of lives, and very likely tens of billions of dollars in agricultural losses, by revealing tropical cyclone formations long before they make landfall and by improving the quality of daily forecasts—particularly in the largely poor southern hemisphere. Scientific satellites charted Earthâs magnetic field, mapped (and continue to map) its gravity field, examine and monitor the annual evolution of the Antarctic ozone hole, and, since 1999, have provided a torrent of information about humankindâs great geophysical experiment with our climate. Rarely does a month go by without Science and Nature publishing articles by NASA Earth scientists. Much of this new knowledge is profoundly disturbing, leading to deliberate, widespread political attacks on NASA research. But my bookshelf contains precisely nothing about the evolution of NASAâs Earth science programs. Intelligence satellites are only somewhat better studied. Yet it is these programs that have provided the greatest benefit to humanity. They have revolutionized our understanding of our world and our place within it. They have dramatically altered our politics. Where have we historians been? For Americans of the 20 th century looking back at the 15 th century, the most important event was the “discovery” of the Americas by Christopher Columbus on October 12, 1492. For Americans of the 25 th century looking back at the 20 th century, the most important event is likely to be the landing of a man on the moon on July 20, 1969. These perceptions of the past are always limited, but perceptions of the present can be equally limited. Applications satellites have probably affected more lives than the moon landing. Two kinds of applications satellites are part of the lives of most of the people on earth. Anyone who watches television is benefiting from the hundreds of communications satellites launched since Sputnik 1 opened up the Space Age. Our weather forecasts—especially of violent storms—have become extremely accurate thanks to the dozens of weather satellites launched since Sputnik 1. Many defense intellectuals view reconnaissance satellites as the most important product of the Space Age—arguing that they prevented World War III. Both the United States and the Soviet Union were dragged into World War II by sneak attacks in 1941. Military navigation satellites allowed American submarines and strategic bombers to know their exact positions under extreme conditions. Both of these applications, land remote sensing and navigation are dual use technologies (military and civilian) that are becoming commercially important. It should be noted that the Global Positioning System (GPS) is still a military system—in spite of the many civilian, commercial uses of the system—and “commercial” land remote sensing satellites are still dependent on defense contracts. In the half-century since Sputnik 1, applications satellites have grown to become a $100 billion industry. They have helped to make the world a global village—and a safer, more connected village than it has ever been before. The advent of the Space Age paralleled the rise of the environmental movement. NASA was born in 1958, a year after Sputnik. The environmental movement in the United States began in its modern incarnation in 1962 with Rachel Carsonâs Silent Spring. The photographs of Earth, taken from Apollo, helped galvanize the first Earth Day in 1970. They became enduring symbols for the environmental movementâs concerns about the fragility and vulnerability of this planet. NASA is a space agency, a science and technology agency, and an environmental agency. It does not make environmental policy, but its activities provide new scientific knowledge that impacts environmental values and thus the political debate over policy. There are at least three ways NASA has related to the environmental movement and, more broadly, environmental policy over the years. First, NASAâs satellites have revealed pollution and various impacts of industrial civilization. These have included ozone depletion and climate change. Over the years, NASA has evolved an Earth sciences program that is clearly a ãMission to Planet Earthä (and at one point used that phrase as its official designation). NASA is the largest component of the interagency U.S. Global Change Research Program. Second, NASAâs mission from Earth to the Moon and planets has generated better understanding of the home planet through a new field of comparative planetology. Third, NASA is seen by some environmentalists as a problem rather than a solution through its creation of space debris, use of nuclear materials in spacecraft, and possible contamination of Earth or other planets with bacteria foreign to them. Thus, NASA has been and is a force in relation to the environmental movement. Its history shows that NASA has been mainly a positive contributor to environmental consciousness and policy. That history and the present are nevertheless controversial. NASA sits uncomfortably at a boundary between science and policy. To the extent that environmental policy is contested, the science and technology on which it can be based becomes part of the political debate. After describing the origin and technical evolution of the Global Positioning System (GPS), this study analyzes the systemâs military, civil, and commercial impact around the globe. Going beyond the history of the on-orbit constellation and ground control element, it examines the burgeoning technology of the user segment. Some nations have augmented GPS to meet specific needs or have begun developing separate, alternative systems. The United States, Japan, India, and Australia all have devised GPS augmentations. Russiaâs Global Navigation Satellite System (GLONASS) and the European Space Agencyâs Galileo will compete with, but potentially complement, GPS capabilities. These and Chinaâs proposed independent Beidou system illuminate how nations or coalitions have come to value the uninterrupted availability of space-based signals for extremely precise navigation, positioning, and timing. Although fully operational for little more than a decade, GPS has become almost indispensable to the success of an astonishing variety of human activities. These fall into five broad categories: determining oneâs location, going from one place to another, monitoring the movement of other people or objects, mapping an area, and achieving precision timing. Athletes, dispatchers, doctors, farmers, fishermen, foresters, geographers, hikers, mariners, miners, pilots, policemen, soldiers, surveyors, and people doing many other things have improved their knowledge, performance, or safety through the use of GPS. Specific examples help convey the different kinds, and the rapid growth, of GPS applications, thereby suggesting the scope of the systemâs social, economic, political, military, and scientific value as of 2006. In the early days of the Space Age, for diverse reasons, the U.S. government embarked on the dual-use distinction. Their view was that space activities could easily be divided into peaceful/civil purposes and military purposes. This distinction in practice is unsustainable, but it was convenient for arms control purposes during the nuclear arms race. 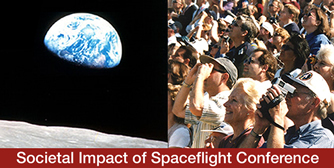 The effect was to delay the advancement of several areas of civil or commercial space applications for nearly 30 years. The paper proposed here examines, first, the impact of the dual-use concept and its effect on civil/commercial space applications; second, how that situation changed with the end of the Cold War and the lessening of security restrictions; and third, the destabilizing aspects that may occur for a space-dependent U.S. military. The areas on which I will focus are the changes in remote sensing (including weather), navigation, and communications satellite policies as the most obvious area of change. The changes occurring are not merely technological, that is, improvement in the scale of images provided or accuracy of positioning information, but the fact that these formerly militarily dominated areas have become engines for economic growth and improvement in productivity. As a consequence, these applications are driving the commercial sector to become more truly international in scope and operation. Early space pioneers often envisioned a world united through the use of space applications, but that never truly happened because of national security restraints. Those security restraints are not gone entirely, especially in the American case, but the spread of technological competence regarding space technologies has reduced, if not removed, the ability of any single power to control these areas of activity. The image projected by these changes is a cooperative, peaceful world, but the U.S. militaryâs focus is upon the potential of space technologies to disrupt the U.S. economy and security operations. Earth-orbiting satellites are especially vulnerable to the actions of others, with little immediate prospect for defense. The long-term military impact is likely destabilizing as the U.S. ponders pursuing measures insuring the security of U.S. space assets, whether military, civilian, or commercial. One of the most significant byproducts of space exploration was the impact it had on American national security policy. This impact operated on at least three different levels. First, it led to the establishment of new national security bureaucracies. In the process, it transformed the nature of the intelligence community by adding new players and altering the allocation of resources. Second, it altered the conduct of intelligence gathering. Human intelligence (HUMINT), the traditional staple of intelligence work, gradually began to lose out to signals intelligence (SIGINT), PHOTINT, and electronics intelligence (ELINT). Third, reconnaissance satellites altered the manner in which states interacted by introducing a new area of conflict and cooperation into bilateral and multilateral relations. This paper will chronicle these impacts. More important, it will assess them for American national security policy. It can be seen that while, on the whole, these impacts were initially positive, over time they became a source of problems. With regard to their impact on the intelligence bureaucracy, it is now clear that the intelligence community became increasingly frayed over time and difficult to manage. With regard to espionage, it is now clear that the information obtained from these systems overwhelmed the ability of collectors and analysts to digest and understand it. Finally, where reconnaissance satellites contributed greatly to the Cold War security system that developed in piecemeal fashion between the United States and the Soviet Union, it does not seem to play that role in the global war against terrorism. These findings point to the conclusion that the societal impact of space exploration is heavily contingent on context and time and cannot be directly inferred from the technology employed. Social history, or what is often referred to as “the new social history,” was firmly a product of the 1960s, but not the 1960s the space community knows as the Apollo Era. Tensions over civil rights, gender relations, and an unpopular war in Vietnam inspired historians that entered the profession in the tumultuous decade to focus attention on groups that previously had been on the sidelines of American history, including women, minorities, and ordinary people. As social history expanded, its practitioners borrowed methodologies from other academic disciplines. One group turned to quantitative methods to interpret changes in the material conditions of daily life, while others laid a foundation for cultural history by employing ethnographic techniques to explore the belief systems, rituals, language, and symbolic behavior of discreet communities. The field also broadened its topical scope and provided new insights on a variety of themes in American and world history, including immigration, social movements, education, crime, work, family life, social networks, sexuality, globalization, and consumerism. Although the fields emerged in the same decade, social history has had a meager impact on the practice of space history. Yet, opportunities abound for examining the role of the space program in the lives of individuals and communities from a social history perspective. In lending support to studies on the experiences of women astronauts, the attitudes and aspirations of Apollo engineers, and space ideology in American culture, the NASA History Division has acknowledged the benefit of broadening space history beyond narratives of technological development, politics, and heroic individuals. Realizing the full potential of space history from the bottom up, nonetheless, requires a more explicit consideration of the analytical innovations of social history. This paper will suggest possibilities for examining the history of spaceflight through the lens of social history, focusing primarily on the themes of ritual, education, labor, race, gender, economic mobility, and social networks. The most basic step for incorporating the concerns of social history into the history of spaceflight is to recognize as viable subjects for historical analysis all individuals and social groups involved in space endeavors regardless of their social standing. Adopting a social history perspective also requires dispensing with the notion of one-way impacts and instead understanding the space program as a site of human activity in which individuals, social networks, communities, and institutions are all active participants in the process of change. A third concept to borrow from social history is the notion that individual and group identities—how we see ourselves and how others see us—are social creations that vary across time and place. With these basic concepts and the literature of social history as a foundation, this paper will raise questions for further exploration regarding the role of the space program in creating the conditions for the formation of social networks, expanding opportunities for social and economic mobility, and providing a forum for the negotiation of values and conceptions of race, gender, and status. After recounting a very brief history of astronomy/space science education in the United States, we will look at the various arenas where space science education takes place today, including K–12 and college classrooms; museums and planetaria; written and broadcast media; the Web (including blogs, podcasts, and the latest technology); community groups, fairs, and camps; and so on. Each arena presents special challenges and opportunities. We will look at different measures of the public appeal of space topics and think a bit about how educators have made use of this appeal in each arena. It is now hard to imagine a science textbook that does not include images and ideas from modern astronomy and the space program. Weâll also mention the rise of ãantiastronomyä pseudoscience and its media-driven popularity. At the same time, there has also been a substantial change in the community of ãastronomy interpretersä in the United States. Thanks in large measure to more than a decade of educational investments by the NASA division formerly known as the Office of Space Science, a new profession has emerged in the country—the space science education and public outreach (EPO) professional. This new profession now has a journal, annual meetings, and a number of awards, but not yet the kind of official certification that established professions usually have. New members of the profession enter from three sides: science, formal education, and public information. Integrating this diversity is a complex issue. It is fair to say that the future of the new profession is still uncertain, particularly in view of current federal funding issues. Until recently, race and gender issues remained an almost invisible part of the story of the early Space Age. Civil rights, the womenâs movement, and spaceflight occurred simultaneously. But they were analyzed as if they occurred in separate universes. Such was not the case. There was a social history of the Space Age. The exclusion of women and racial minorities from key portions of Americaâs civilian space effort also affected the political credibility of spaceflight. Recent books on how the U.S. Astronaut Corps stayed closed to women and then reluctantly opened to them after 1978 tell part of this story. But the political struggle immediately preceding that opening is far less understood. This essay tells the story of the African American women who were NASAâs key change agents regarding the racial and gender integration of the U.S. human spaceflight program. In addition to clarifying the interplay of sociopolitical change within and around NASA, the essay also casts light on race and gender tensions within affirmative action. It concludes that NASAâs political lags on race and gender issues within a conservative, White, male, military test-pilot and engineering-focused organizational culture induced more cooperation among groups being discriminated against than conflict among them. It also demonstrates how professional Black women played important ãbridge leadershipä roles in this process of organizational conflict and accommodation. On 1 October 1958, the United States government, with the approval of President Dwight D. Eisenhower, established NASA to explore space for the benefit of humankind. In May 1961, NASA accepted President John F. Kennedyâs challenge to send a man to the Moon and return him safely to Earth by decadeâs end. Four months later, NASA Administrator James E. Webb announced that the space agency had selected Houston, Texas, over some 20 other cities as the site for the Manned Spacecraft Center, which would serve as a command post for the nationâs Apollo program. Although Webb cited numerous reasons for the selection of Houston, political pressure from Texas Congressmen Olin Teague and Albert Thomas played a key role in the site selection. With the newly established Manned Spacecraft Center in Houston, the space agency achieved Kennedyâs goal of landing a man on the Moon in July 1969. By the early 1960s, NASA was responsible for an average of 10,000 jobs in the Houston area through civil service and contractor-related employment. Aside from establishing new jobs in Texas, NASA also caused space-oriented firms to relocate within the state. Texas universities and colleges also benefited from the space agency by receiving federal grants to conduct space research. Additionally, NASA affected Texas by creating new residential and commercial areas. The space program not only changed the face of the Houston area, but it also affected the entire Lone Star State. This study focuses on Texas between 1961 and 1969 in an effort to examine the impact of the space agency on the Lone Star State. A number of historians have written about the various NASA Centers and spaceflights during the late 20th century, but few works discuss the economic, political, and social impact of the American space program on state levels. The work will demonstrate that the space agency assisted in the development of Texas during the late 20th century. From its creation, the Jet Propulsion Laboratory in Pasadena influenced and reflected the surrounding region of southern California. It worked with and spun off local aerospace firms but also competed with them in the local labor pool; it attracted publicity to the local community, but also a backlash because of environmental pollution; and it plugged into Hollywood through its work in digital image processing. Southern California as we know it would not exist without aerospace, and the evolving relations between JPL and the region illustrate how space programs, military as well as civilian, helped transform southern California from Sunbelt orange groves to high-tech metropolis. As curator of the Social and Cultural Dimensions of Spaceflight collection at the Smithsonian Institutionâs National Air and Space Museum, I propose to explore the implications of space memorabilia as evidence of the societal impact of space exploration on American culture. Using specific examples from the National Collection and citing scholarship on material culture, this paper will explore how space memorabilia serve alternately as evidence of the social history of space exploration, as fodder for the booming business in creating and collecting such items, and as unexpected ãmuseum pieces,ä now that space workers, collectors, and their heirs are donating these valuable ephemera to museums across the country. The social history of the space program is a history ãfrom the bottom upä of the massive mobilization of people whose work made the big science technologies and programs of space exploration possible. Those who worked on space projects, either as NASA employees or as contractors, were often rewarded or recognized through the presentation of commemorative items (e.g., pins, patches, stickers, or more substantial objects). Such mementoes served to maintain morale, support work quality, and sustain momentum, while also marking their owners as participants in and witnesses to history. Furthermore, because space work often required the relocation of entire families—and the creation of new communities—space memorabilia can also remind us of the larger contexts in which this effort was embedded. The widespread impact of the space program on a significant segment of the American workforce can be seen through an examination of space memorabilia. The collection of space memorabilia by the general public and by cultural institutions, two other topics that will be explored in this paper, offers two other ways that such ephemera illustrate the societal impact of space exploration. Ask space historians from the United States to name the most important and influential event in the history of space exploration, and they will cite the Apollo Moon landing in 1969. Pose the same question to Russian space historians and they will recall the flight of Yuri Gagarin in 1961. American space historians would be surprised to learn that few beyond the United States remember or care about Apollo while Russians find it shocking that few Americans have even heard of Gagarin. Why do two nations that have engaged in essentially the same endeavor---to move humans off this planet---have such fundamentally different perspectives? The answer lies in how each nation constructs its own grand narrative on space exploration, one that encompasses how a society aspires to the heavens, how it perceives and reacts to that aspiration, and how it remembers it. All of these things are contingent upon cultural assumptions embedded in institutions, values, artifacts, and norms in each national context. Consequently, without an understanding of how cultural assumptions shape and are shaped by space exploration, a history of spaceflight is nothing but a partial history of spaceflight. My goal in this paper is to suggest some approaches for reconsidering the cultural history of spaceflight as a way to rethink the relationship between spaceflight and culture. I structure my paper around a number of very broad themes: language (e.g., the language NASA uses to communicate to the public), ritual (e.g., astronaut rituals, hero worship of astronauts), performance (e.g., movies, music), power (e.g., privileging knowledge about space as a mark of global power), ideology (e.g., nationalism, modernity, utopianism), and identity (e.g., masculinity). These categories are, of course, neither immutable nor mutually exclusive, but they represent alternative strategies for approaching the history of spaceflight without resorting to the clichés of programs, artifacts, progress, and heroism. What they all suggest is that our collective memory and perception of space exploration are firmly contingent upon cultural assumptions that are constantly changing, reformulated, and limited to particular contexts. Ultimately, this paper will raise important questions about the construction of particular national narratives on space exploration and how these narratives engender a kind of authority that obscures marginalized perspectives on space exploration. How does a new science gain credibility in the public imagination? This paper explores how the search for extraterrestrial intelligence (SETI) is depicted in the S/CETI (search for/communication with extraterrestrial intelligence) novel, a subgenre in American science fiction with formal links to science writing and mainstream fiction. The S/CETI novel differs from more general first-contact narratives (or adventures) in that it seeks to explain SETI science in ways that honor the rationale and the spirit of that research agenda. In it, discovery of and communication with extraterrestrial intelligence are the springboard from which the differences that divide humanity can be addressed. In James Gunnâs The Listeners (1972) and Carl Saganâs Contact (1985), for example, the conflict around race, both real and imaginary, is the fundamental barrier to be overcome. These narratives dramatize the hope that the acts of discovery and exchange will ensure the survival and prosperity of the human species. Thus, in S/CETI fiction, scientific aspiration is inseparable from our social and political hopes. It is in this way that SETI gains its place within the social language of our ordinary culture. Astronautics is unique among the sciences in having its origins in an artform. From the first realization that the world we live in is not unique, human beings began imagining what it might be like to visit places such as the Moon and Mars. This occurred at a time when the Earth itself was being opened up to exploration, so it only seemed natural to expect the new worlds being discovered in the sky to be some day explored as well. Long before scientists and engineers considered the problem of just how this might be done, countless authors had put their minds to it---with results that ranged from ridiculous to prescient. In the four hundred years since Galileo discovered that the Earth was not alone, writers and artists have served several important functions: They have served to inspire---or, in other words, they have caused their predictions to become self-fulfilling---and they have acted as mirrors or gauges of contemporary interest in spaceflight. Today, astronomers and space scientists freely acknowledge the debt their sciences owe to science fiction and space art. When Galileo peered through his small telescope 400 years ago, it resulted in an unprecedented period of astronomical discovery. The same might be said of the Hubble Space Telescope (HST), which, in its first 15 years of operation, has had a similarly profound impact on astronomical research. The accessibility and popularity of Hubble imagery and data have spurred the use of its pictures, enhanced its Space Age cachet, and given astronomers newfound understanding of the universe in a wide variety of applications. I will review the impact of HST science and imagery on the general culture as derived from various studies and evaluations, from literature to the arts to pop references and icons. I will also show Hubbleâs impact on the formulation of the cosmic questions that the public finds most intriguing today and will offer views on the implications for continued societal interest in the exploration of space. This paper presents the very first findings of a comprehensive research project on the cultural history of outer space, space travel, and space exploration in the European imagination of the 20th century. Proceeding from the observation that the currently thriving interest in space as a category of historical analysis—frequently labeled topographical or spatial turn—and the better-established historiographical field of ãspace historyä have not often been juxtaposed in the past, the project analyzes intersections and contact points between science and fiction from a European perspective and pays specific attention to exemplary sites and situations in which instruments, technologies, modes of representation, and mental concepts themselves contributed to the production of phantasmagoric configurations. Given the fact that much work on the European space effort, its historical meaning, and cultural impact still remains to be done, I will limit myself to presenting and discussing three broader conceptual issues: First, where do we have to look in order to locate what kind of repercussions? And why is it such a complex and possibly futile task to try to identify and measure such impact? Second, has a distinctly European version of outer space evolved, especially after 1945? Or were the Apollo flights, for instance, subject to such carefully orchestrated, far-reaching global media coverage that they gave rise to the same process of mythmaking afterwards? Third, while the persistence of the so-called American ãspacefaring visionä has, time and again, been attributed to the deep-rootedness of the frontier myth in popular culture and the public imagination, is Europeâs version of outer space best characterized by the lack of such a key metaphor and commonly shared belief system? Distinguishing between space exploration and its impact cannot but constitute a provisional separation. Spaceflight already affected society and culture long before it existed. American conceptions of self and nation draw on a deep pool of prevailing ideologies. What is the relationship of these conceptions and ideologies to the U.S. space program? How have prevailing American ideologies—of progress, rugged individualism, manifest destiny, free enterprise—shaped, directed, or otherwise affected spaceflight? How has spaceflight affected prevailing ideologies? How have U.S. space advocacy and space activist movements and initiatives reflected, interpreted, and deployed these ideologies? What roles have advocacy and activism played in the history of space exploration? Why do space advocates continue to turn, whether wittingly or unwittingly, to Frederick Jackson Turnerâs turn-of-the-century frontier thesis and the idea of manifest destiny for rhetorical inspiration? How deeply is the ideology of progress, that idea of necessary and inevitable forward movement, embedded in the rationale for space exploration? From the legislative history of the Space Act to the Presidentâs Vision for Space Exploration, historians have a rich supply of material to mine in exploring these questions. These and other questions will be addressed in this overview talk. This paper will focus in particular on examining the rhetoric of space exploration as a way of studying the role and function of ideology and advocacy in the history of spaceflight. At a small international meeting on lunar exploration in 2003, I heard two separate lunch speakers cite such personal experiences. At the beginning of a break in that meeting, I grabbed the microphone from the chairman and asked each person to write down on a pad by his or her chair whether or not he or she had experienced a specific event that led to his or her involvement in space. If the answer was positive, I asked for a brief narrative, for their age at the time, and for their current age. I received 53 submissions, 20 percent of which simply stated that their involvement in space exploration was happenstance. (Apollo astronaut John Young was among these.) The other 80 percent of the submissions had specific stories. The ages at the time of the epiphany ranged from 4 to 47, and their current ages ranged from 22 to 78. I will present a high-level characterization of these inputs. Interest in space exploration as a form of belief system is consistent with choosing NASA goals for the purpose of ãinspirationä and with phenomena such as the ãoverview effect.ä More research might explore what form the transcendent experience takes and whether it might be associated with feelings of universal connection such as the noosphere or ãthe Force.ä From a pragmatic point of view, outreach strategies for exploration should focus on giving individuals access to personal, potentially transformational experiences as opposed to astronaut talks at civic clubs. Although the idea of progress is clearly central to American national identity, the popularity and credibility of the idea have undergone significant fluctuations over the course of American history. This paper assesses how the onset of space travel stimulated a societal revitalization of ideas of progress that, by the early 1970s, were coming under increased attack. The idea of progress has typically advanced three claims: 1) there are no fundamental limits on the human capacity to grow, however growth is defined; 2) advancements in science and technology foster improvements in the moral and political character of humanity; and 3) there is an innate directionality in human society, rooted in social, psychological, or biological mechanisms, that drives civilization toward advancement. American believers in progress quickly embraced space travel, viewing it as a vindication of the doctrineâs original claims about the near-inevitability of human advancement. With space travel understood in this fashion, the problems and successes of the space program took on a far greater meaning than in other areas of technological endeavor, as they became symbolic of the entire directionality of human civilization. The early and astonishing success of Apollo, followed almost immediately by signs of disarray, served to stimulate a new vision of progress and then quickly threaten it. In this context, a space advocacy literature arose that was simultaneously grandiose about the human future and intensely fearful about missed opportunities. This confluence of both ambition and anxiety continues to characterize both the pro-space movement and the larger debate about the American future in space. In response to public sentiment following the successful lunar landing of Apollo 11, politicians brought an end to the Apollo program and began a long period of retrenchment in the U.S. civilian space program. These actions led to the creation of large groups of space enthusiasts that have worked to build public support and lobby politicians for a more aggressive civilian space program and the creation of conditions where humans could again move beyond low-Earth orbit. Since its beginnings in the 1970s, the American space movement has been characterized by conflicting goals and clashing ideas about how to reinvigorate Americaâs space exploration programs. Many of these disagreements arise from differing viewpoints on the role of government in general and NASA in particular. A popular belief amongst space enthusiasts holds that NASAâs growth in its first decade leading to the Apollo Moon landings was a normal, if not inevitable, event and that the string of budget reductions that followed constituted an aberrant reverse. Proponents of space exploration also have varying perceptions of the degree of public support for the U.S. civilian space program. Some have overestimated the degree of public support for space exploration, and others have not appeared to take public opinion into account at all. Space exploration advocates have also been divided by differing goals, including the matter of human versus robotic exploration, and varying exploration priorities. This paper will examine the effects of these goals, ideas, and disagreements on the efficacy of the U.S. space movement and will also look at public opposition to large-scale efforts in space. While some opposition to space exploration has been stated bluntly and openly, much of the opposition relates simply to the public and politicians placing higher values on other priorities. These competing priorities vary with political and cultural outlooks among members of the public, and this paper will examine how these different outlooks relate to space exploration. In the popular culture of the last century—the science fiction novels of Robert Heinlein and Ray Bradbury, for example, or the iconic TV series Star Trek—human beings have envisioned a future for themselves as galactic travelers. In the last 40 years, engineers, many at NASAâs Jet Propulsion Laboratory, have sent robots throughout the solar system—mechanical pathfinders who returned tantalizing pictures of new worlds. In the next 40 years, humans will attempt to set foot on these worlds—planets many times more distant than our Moon; worlds truly apart. Engineers have demonstrated the technical know-how to build a craft that will transport a crew to, say, Mars. But there is a catch. In recent months, biomedical researchers working in relative obscurity have begun to raise a big unanswered question that tends to be overlooked: Can the human body withstand a prolonged journey into deep space? Galactic cosmic rays—high-speed heavy ions that come from exploding stars outside our galaxy—pose a potent threat, not just to astronaut bodies, but also to the efficacy of medications and the nutritional value of food. The threat cannot easily be eliminated through shielding and may require a solution that has yet to be devised. In some ways, we are a fragile species, ill-suited to survival outside the atmosphere, gravity, and magnetic field of Mother Earth. This idea belies the can-do ethos of the astronaut in popular culture. Yet rather than denying our physical frailty, acknowledging it may be a useful first step in devising the scientific strategies necessary to surmount it.